We made pavlova filled with passionfruit creme patissiere topped with strawberries and more passionfruit for Christmas lunch. It was a great success, especially as the filling was a spur-of-the-moment let’s use up these egg yolks thing. Feminist Tony is copping it from everyone. Plenty of talk about Tasmania. I thought the election was already won by the Libs. 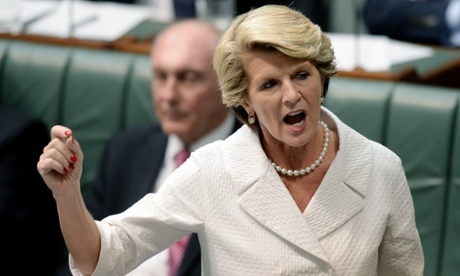 Broomhilda has already dispatched two from QT. The Libs must be worried about Tasmania. Oh for frack’s sake – a PC that is just perfect for women. We are so intellectually challenged and air-headed we can’t manage a mouse so it comes with a touch screen. Just perfect for looking at Pinterest and wedding dresses. I’m surprised the thing isn’t hot pink with embedded rhinestones, because, like, us girls just love pink and glitter. Arrrrgggghhh! Mind you he did also compare himself with Tricky Dicky “I am not a crook” Nixon. A bit of truth there. Mesma seems to have borrowed a jacket from her dentist. Man, that seed cake looks good enough to eat! 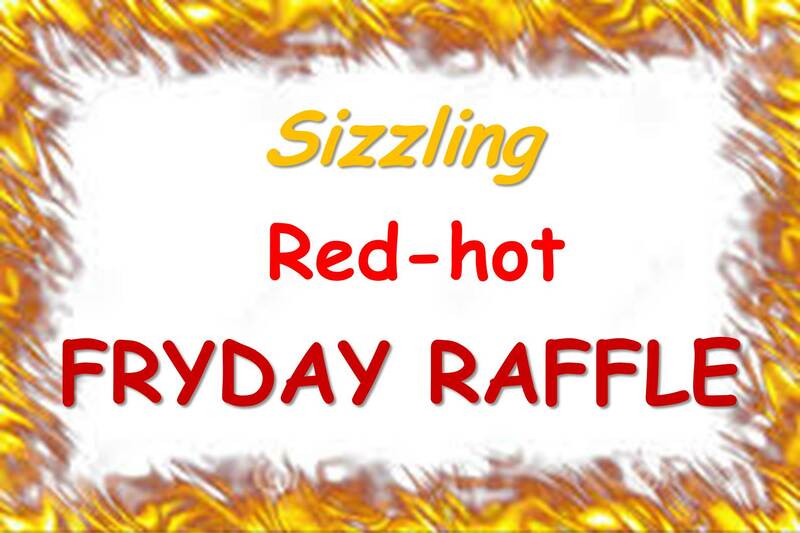 Have a smaller lot that is in oven now. I’m sure Marge will enjoy that picture. Four. Leaving as fast as the Saffer batsmen. I did break a promise to myself to watch a bit of QT. Bronnie still manages to debase any notion of impartial fairness from the Speaker. I had to mute for Morrison and Mesma, but that was some internal satisfaction. Now Dutton is coming on, leading to further mutings. If only we could have kitten substitutes for all the government frontbenchers. Our member for Ballarat continues to dig holes for Abbott on his defence of the health minister and his assistant. Abbott continues to avoid answering. Catherine King asks The Idiot a question. 57 seconds later someone else asks a question. Not one of Tone’s longest answers. Bill with an MPI on QANTAS. Heavy hitter Pruneface to the rescue. Yes. Comedy relief in the House! Valerie Vaughan writes: Re. “Country for old men: little diversity in Abbott’s picks” (yesterday). Reading this article should concern every single person in government, especially Tony Abbott. I owned and operated and highly successful business and was forced to sell this business because of a terminal illness of my husband. I do not have the stamina I once had. Nor do I have the razor-sharp memory or the capacity to do three things at once. I do not make instant decisions, I seek confirmation. I do not have the up-to-date knowledge — no matter how much I read. I am not in constant employment. Many of the colleagues of my era I find are in my league, but only half accept this fact. The young people have a very different view of so many principles. This is a new world and to listen to Eric Abeitz and Bronwyn Bishop, to name just two, with their righteous attitudes of past decades makes this Liberal supporter cringe. Many of the older professionals , including me, have not moved with new ideas. We tend to feel that the way we operated was the best way. Not so. It is very disappointing to appoint so many retired politicians plum jobs when they are already entitled to large pensions. It is not capability, it is jobs for the boys … not the girls. Many private successful executives, many retired, are elected to too many boards. How can you serve and make critical decisions so many boards of companies? They are also paid unrealistic salaries.. It took me five years to realise and understand that I was past my prime, and I hate to have to admit this fact but have fortunately realised I have something to offer in the welfare situations. I recall having a conversation with one of Bjelke-Petersen’s minders. in the premier’s later years and he said that this successful politician could converse without any problems for 10 minutes and then he would lose track and his minders would move him on. This article is heartbreaking for our country. I understand perfectly that all these people think they are Rupert Murdoch, but like I have had to accept … we have had our day. Shorten is on a roll. He is suggesting “those brain surgeons opposite” hadn’t considered that the process to allow foreign buyers into Qantas would take years, allowing the company to bleed while any bids were considered by the Foreign Investment Review Board. Shorten predicted like Graincorp, the company could go through the process, only to have any proposal knocked on the head by the government. He quotes Warren Truss’ objections to ADM’s takeover on Graincorp on the basis that 49% foreign ownership would change the nature of the board. In Abbot land, you get a pair of scissors and cut the red tape. Perth MP Alannah MacTiernan has been appointed shadow parliamentary secretary for WA and shadow regional development and infrastructure – opposite Warren Truss. Bishop says foreign aid has been re-oriented to “our region”. Hockey even lies about his ancestry. He likes to say he’s ‘an Arab’ or today ‘half Arab’. He’s not either. Hockey’s mother is Australian – white, Anglo-Australian. His father is Armenian/Palestinian. Armenians are not ‘Arabs’. So that makes Sloppy at most one quarter Palestinian – Catholic Palestinian. At best he’s one quarter ‘Arab’. How can Hockey manage the economy if he can’t handle simple fractions? He does fractious really well. 1. Fractions are rational numbers. 2. Hockey is not rational. 3. Therefore Hockey cannot handle fractions. J Bishop doesn’t like rhinos. Maybe she thinks they’re mirages. That material reminds me of the absorbent stuff I put under the draining tray for the dishes. 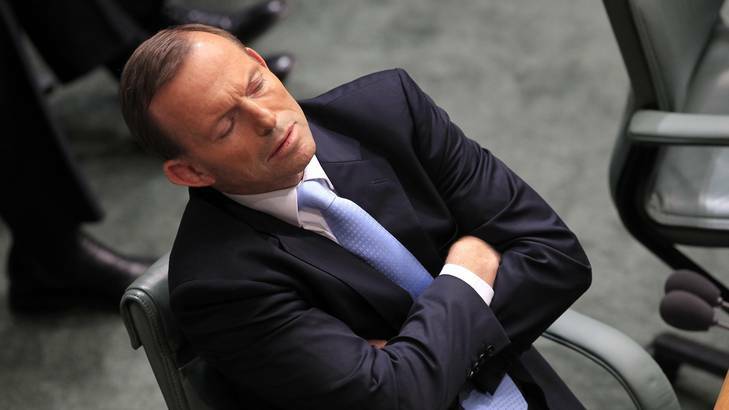 Tony Abbott in question time. Stephen Jones had a bit of fun during QT today. 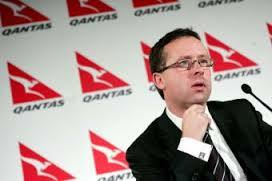 We to give Qantas freedom, Labor wants to give Qantas a subsidy. We need to set them free. I can hear the Born Free theme song. Emirates, Emirates, Emirates! Oi, Oi, Oi! The coalition is wide open to a populist attack. It worked for Pauline Hanson, and it can work for Labor. The trigger is Qantas. 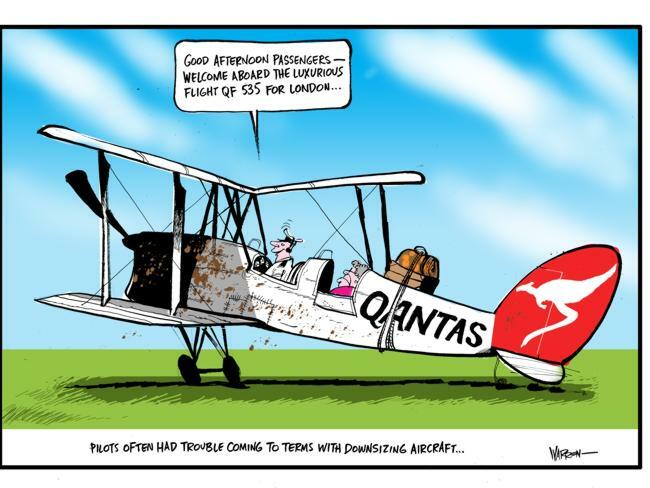 Holden gone, Qantas going. Two icons. Stir vigorously, bake, and you have a recipe for a populist pie smack in Abbott’s face. The thing about populism is that it usually has only short-term traction. Sooner or later (usually), sanity prevails. That’s because populism (usually) lacks sinew, doesn’t have enough basis in truth. Usually, it’s a cheap trick. Like plonking an aussie flag in your front garden (a sure sign of a Liberal voter). Labor needs to show that the loss of Holden and Qantas will lead to real and substantial damage to the nation. Seriously. Facts and figures. That, plus ranting and raving in true populist fashion, will put the wind up the coalition and, who knows, swing many, many votes. Do they burn coal to generate power in Tasmania? No coal plants here, some gas turbines. Mostly hydro. Coal is mined here and goes to cement kilning operations. Heh, The Age treats a proposal to build a Monorail to Melbourne Airport as the joke it is, including a Simpsons reference.